Among the various types of footwear available at the stores, boots have always been there down the ages. We are all aware of the smart cowboy boots, the ranchers' boots, mountaineers' boots and so many other kinds. The Mexican Pointy Boots are a new trendy addition to the line of boots. As the name suggests they were most popular in Mexico as well as the United States. But now they are used as amazing pairs of dancing shoes that go well with the rhythm of tribal music from where it originated. Like the other boots, the Mexican Pointy Boots are well made and quite strong. They keep the feet covered and well protected with great fit to hold the feet firmly while dancing. The uniqueness of these boots is that the front design is of an absolutely unusual design. The boots are crafted exquisitely by elongating the front toes about 1.5m more than the normal ones. They do not stay straight and pointed just like that. They curl inward towards the knees. This is the original design. Then they are customized according to the choice of the wearers. Some like to incorporate sequins to make them attractive while others get them painted with bright colors to draw the attention of onlookers and spectators. They have become a preferred shoe style for dance troupes that have all male participants and they mostly dance to the tribal tunes. Initially they were one of the favorite wears of the cowboys and the rodeos. But now they are used by many dancers who love to create special effects in their performances and try to create that tribal atmosphere in their dance. Some also add disco balls, LED lights as well as mirrors that offer an extravagant and glamorous show to the boots. Those who have witnessed dance shows where these Mexican Pointed Boots are worn by the dancers were struck with amazement at the unbelievable effects that the boots created on the dance floor. As the performers spin and jump laterally, the extended toes to shine and spin and bounce laterally with them. It is an amazing sight. These Mexican Pointy Boots have attracted dancers all over the world today. Many troupes who perform tribal dance for the spectators are using these boots to get an edge over other groups as the boots lend an added attraction to the show. The boots have become one of the major fashion elements of today. 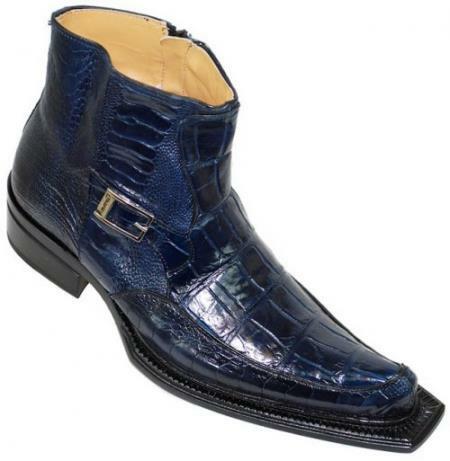 If you think you can dance well, get a pair of these pointy boots and add a new element to your qualities. Dancing with these wonderful designer boots on is not as easy as it seems from the viewers' bench. You need to master the art of holding them well while dancing. The best thing about these pairs is that they can be customized according to the preference of the users. Visit our store for some of the authentic pairs of Mexican Pointy Boots and pick up the ones that fit your feet accurately for a smart performance.